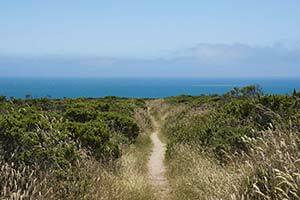 This hike, a local favorite, runs over rolling hills and flower-strewn fields on the long, narrow northern tip of Point Reyes, ending at a rocky point surrounded by ocean on three sides. 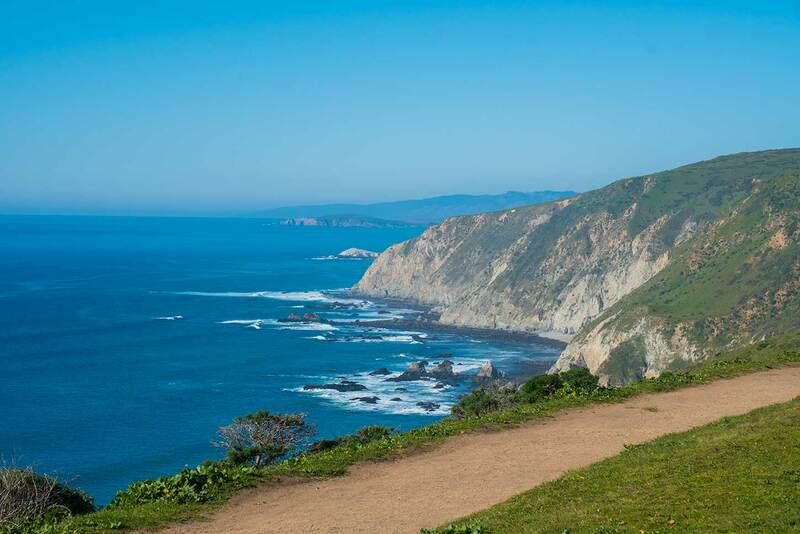 It’s Point Reyes’ best all-day ocean view hike, with ocean views and the sound of the surf throughout the hike, although the best views are at the beginning and end of the trail. 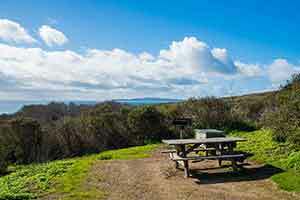 The area is also a Tule elk reserve; the elk, which were reintroduced to the area in 1978, are kept captive by a fence across the point, so there are almost always elk around. 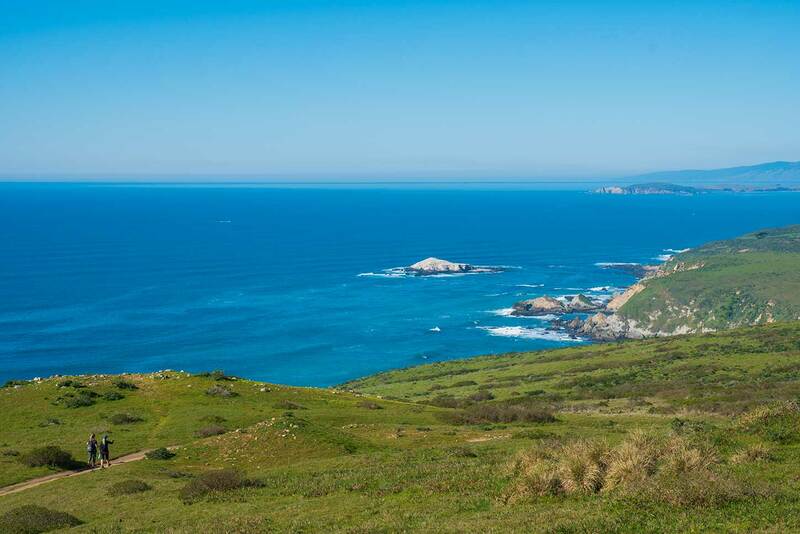 The hike is most enjoyable on sunny days, when the open hills are surrounded by the brilliant blue shades of the ocean and sky. Unfortunately it’s often cloudy, cold, and windy in summer. 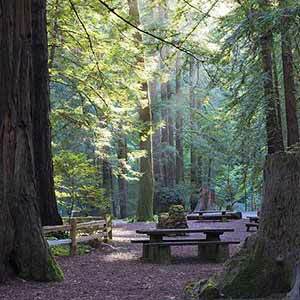 Nonetheless the trail is very popular; at peak times you might pass a group of hikers about once per minute. Even though there’s quite a bit of roadside parking, it still fills up. The entire trail is exposed, with no tree cover at all. 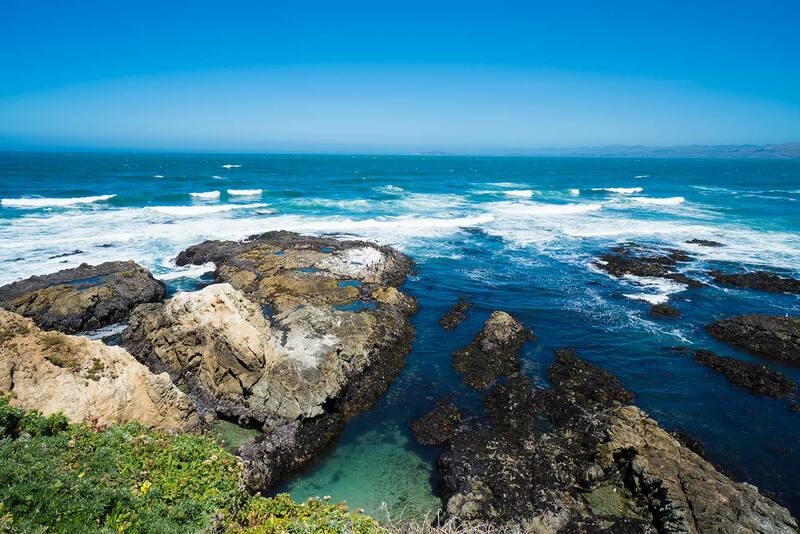 There’s no way to climb down to the ocean on this hike, but there are several nearby beach access trails. 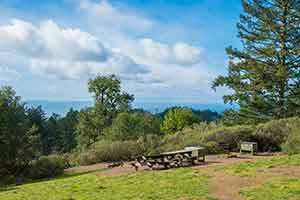 The trail starts at Pierce Point Ranch, a 19th-century dairy farm with attractive white buildings set among windswept, starkly open hills and a stand of gnarled Monterey Cypress trees planted as a windbreak. There may be some overgrown parts near the start of the trail, but then the next few miles of trail are clear and in good condition. 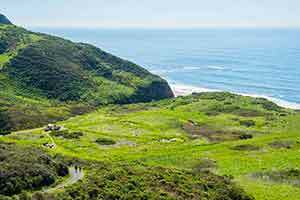 Some nice ocean views gradually open up as the trail gently climbs a small hill, culminating in a view of the rugged coastal hills to the north. 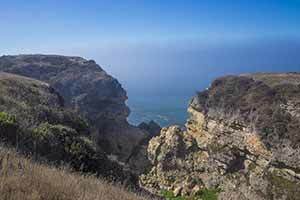 This view makes the hike look a lot more dramatic than it really is; you won’t actually see a lot of the coastal cliffs after this point. The trail descends to Windy Gap, a small valley with a spring where some elk usually hang out in the afternoon. On weekend afternoons from July through September there are some helpful volunteers at the low point of the trail with a spotter scope and samples of elk antlers. During these times, a lot of visitors just come to this point to see the elk and then turn back. The trail climbs up onto a wide, flat ridge. 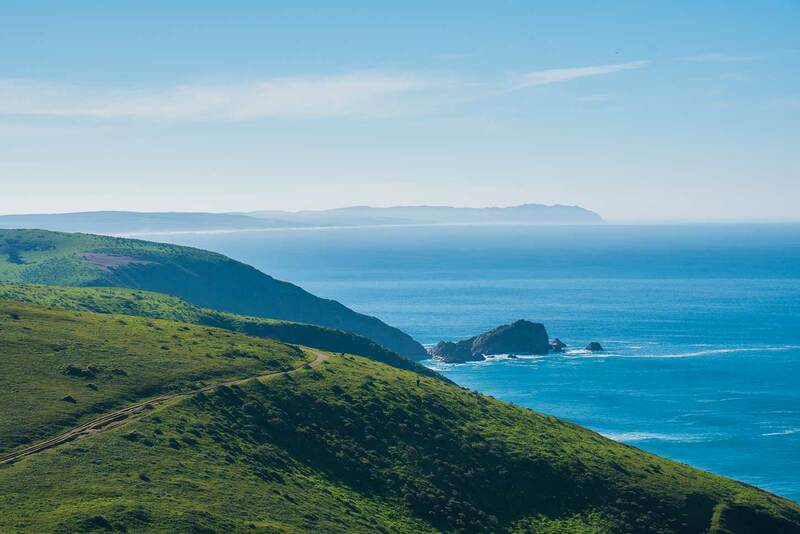 Although the both ocean and Tomales Bay are visible, the views in this middle part of the hike aren’t that great since the hillop is so wide. 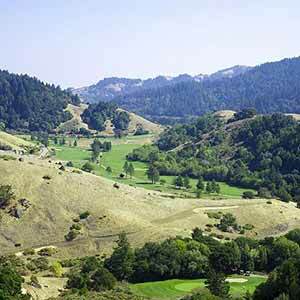 The trail descends into the wide, shallow valley where the Lower Pierce Ranch used to be located. 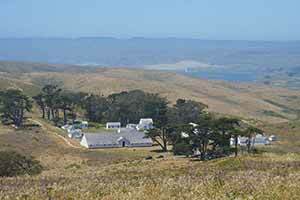 There are some great views of Tomales Bay as the trail descends. There’s also a pond where elk tend to congregate; since the pond is close to the trail, this is often the best place to see the elk. No sign of the ranch itself remains except for a line of Monterey cypresses that stand out in the otherwise treeless terrain. 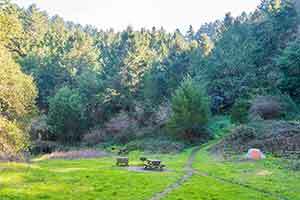 The trail is unmaintained after Pierce Point Ranch, but at first it doesn’t look any different as it climbs out of the valley. 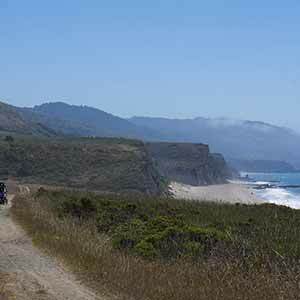 However, the trail gets more difficult after it passes a small metal sign with an arrow that says “Tomales Point” . The trail becomes very sandy for a while, then so heavily overgrown that it almost disappears under dense brush. Fortunately there’s almost no poison oak, and in spring, this area is a riot of wildflowers. The brush clears up for the final descent to the point. 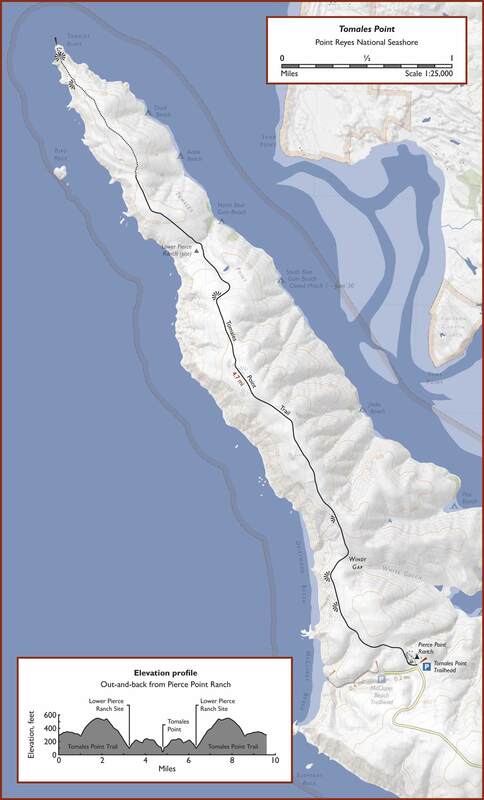 With its surf-pounded rocky outcroppings, some interesting wave patterns as the swell passes by the point, and a great view of the hills across Tomales Bay, the point by far the most scenic part of the hike. The clanging of a bell, which sounds like a church bell but is actually from a buoy, can clearly be heard. 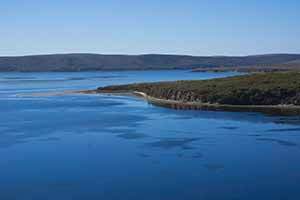 Ryan Keeler’s Fli Productions website has a portfolio of photographs of the trail. 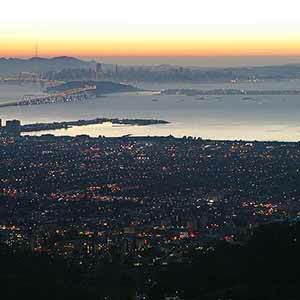 Jane Huber’s Bay Area Hiker has a page on this hike. This 2015 article discusses elk deaths in the Pierce Point reserve due to a lack of year-round water sources. The park service now adds water to ponds in the preserve during dry periods.